posted in FOOD on January 13, 2015 by Luna. 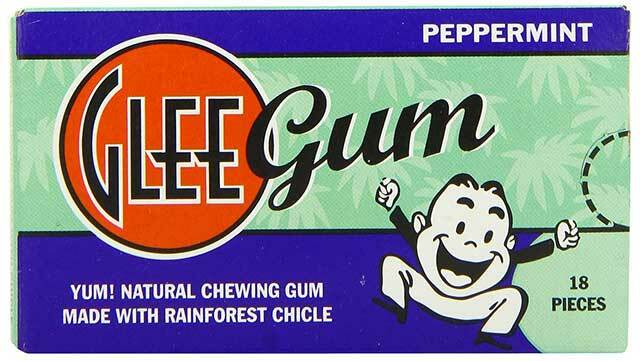 Glee Gum is natural chewing gum made with sustainably harvested rainforest chicle. It comes in 9 great flavors: cinnamon, peppermint, tangerine, bubblegum, spearmint, triple berry, sugar-free lemon-lime, sugar-free refresh-mint, and sugar-free wild watermelon. Glee Gum is the #1 healthy alternative to synthetic chewing gum and bubble gum! No artificial colors, flavors, preservatives, or sweeteners (no aspartame). Non-GMO Project Verified. Chew with Glee, naturally! Glee Gum is they only certified non-GMO gum! They’re the only company that has the non-GMO certification on all their packages, which proves they went through the certification process. Others may say they are non-GMO, but Glee is the only one that actually carries the label on all their packaging that proves it is indeed, non-GMO. Its AWESOME!